Graphic Designers transform all kinds of information in a visual form. According to our customer demands we create the most appealing visuals. The graphic design begins with the idea of the customer. Afterwards we process the new tasks carefully taking into consideration all relevant factors. Based on our findings we create the first drafts on paper or the computer- starting of the process of creativity. Consequently we further develop the product until we fully reached the customers expectations. Luv Designs services entail everything from Logos, Business Card and Notepapers to promotion material as Flyers, Posters and Brochures. Everything starts off with a logo. Do you need a new logo for your business? We create unique and striking Logos that ensure you the attention of your customers. In this regard we take a clear straight-to-the point approach. 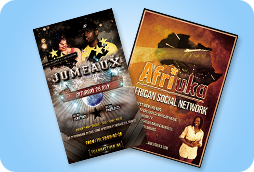 We create creative and appealing Posters and Flyers - in vast numbers to the best conditions! 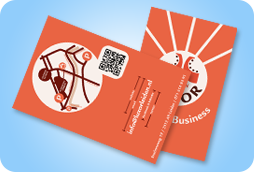 We conceive tailored and colored QR Codes with your integrated Logo. Our QR Codes are still to be scanned with a QR Scanner ! Check our portfolio for our previous work. Check our portfolio for our previous work. 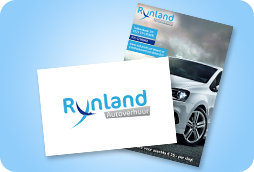 Our basic package includes the design of logos, notepapers and business cards. Any additional wishes?